With the holidays approaching, everyone is on the lookout for that perfect gift. If anyone on your shopping list is a hot tub owner, some new accessories for their hot tub would, without a doubt, be a fantastic gift! Hot tubs are calming and relaxing, but the right accessories can make them even better. Seat cushions can turn an already comfortable seat into a seat that you never want to leave. These cushions are also great for shorter people who might like to sit up higher in the hot tub, as well as, people with back or hip pain. No matter the recipient, seat cushions for the hot tub are sure to be a great gift. You can also purchase pillows designed specifically for hot tubs. Anyone will enjoy kicking back for a rest in their hot tub with a new pillow. This also makes a great gift for someone with ongoing neck pain, taking their hot tub to the next level of comfort. Other accessories that make great gifts, are hot tub steps or free standing handrails. These are both great for any style of hot tub because they are freestanding, but extremely useful for entering and exiting the hot tub. Hot tub steps are particularly fun gifts because there are many styles to choose from. There are steps with built in storage, great for storing chemicals or other hot tub accessories. There are even steps with built in planters that add an extra element of style to any hot tub. Side tables that can be purchased to go on the side of any hot tub also make great gifts. Having a place to set a drink, your phone, or your favorite book is something anyone would enjoy. Looking for something a little more fun? How about wireless water speakers or floating LED lights? You can even purchase floating game trays to play games like checkers or chess. Water proof cards can be used with the game trays making any of your favorite card games water-friendly. The gift options for spa lovers are endless. No matter which of these accessories you choose, any spa owner will be thrilled to open something new for their hot tub! Newer PostCrazy life? 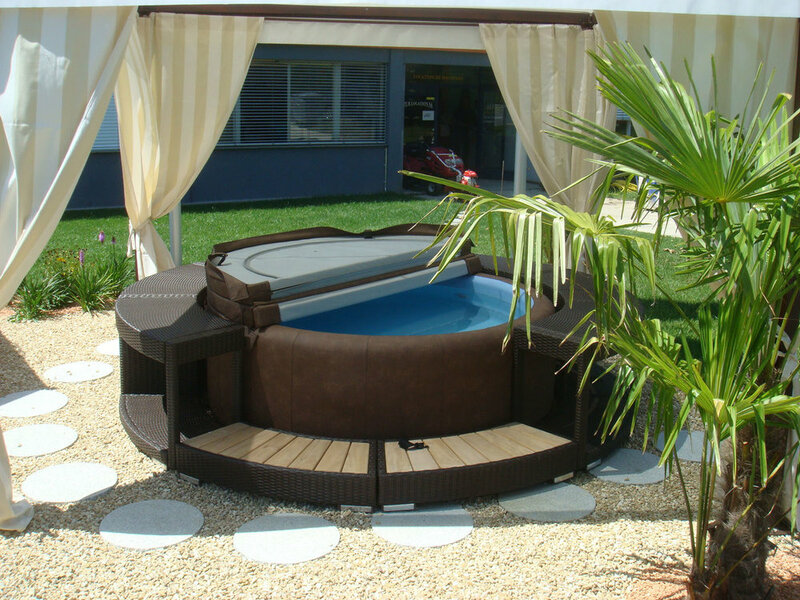 Make it a great life with a Softub.